Contribute $25 to "The Amazing Life & Times of Austin T. Levy" project and we'll send you this limited edition full-color poster (11" x 17") on heavy card stock (mailed rolled in a sturdy tube) suitable for framing, plus we'll include a Austin T. Levy window sticker! Shipped rolled in a cardboard mailing tube. Postage Included in Price. 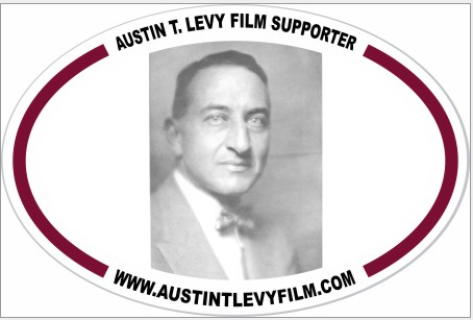 This 3" oval sticker shows everyone know that you're a lover of film and that you support the production activities for the "The Amazing Life & Times of Austin T. Levy" project. Mailed flat to any address in the USA. Price includes postage. 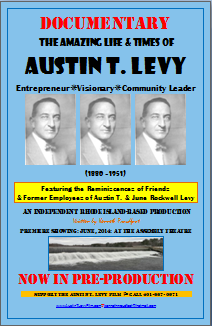 All proceeds support the film.